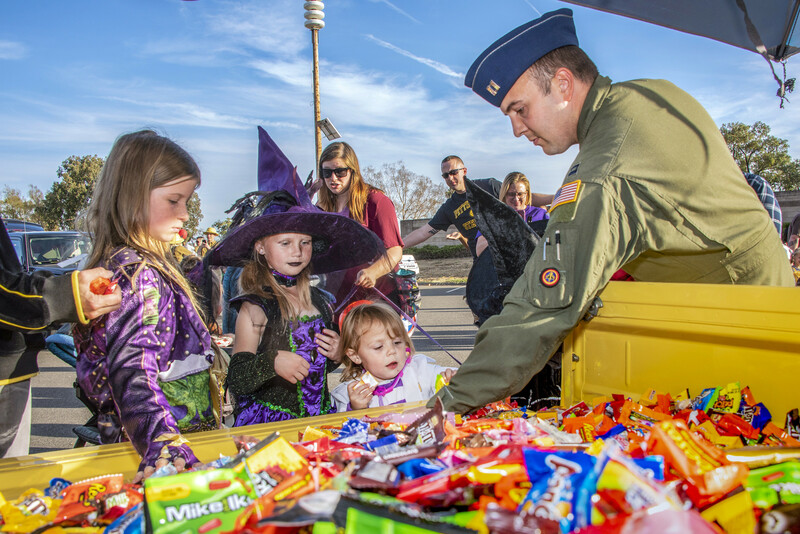 “A volunteer hands out candy to trick-or-treaters during the eighth annual Trunk or Treat at Travis Air Force Base, Calif., Oct. 26, 2018.” Thousands attend! 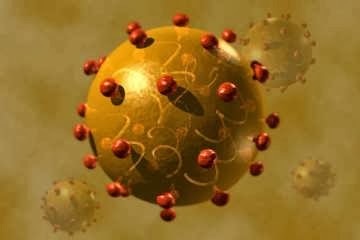 Image: DoD. 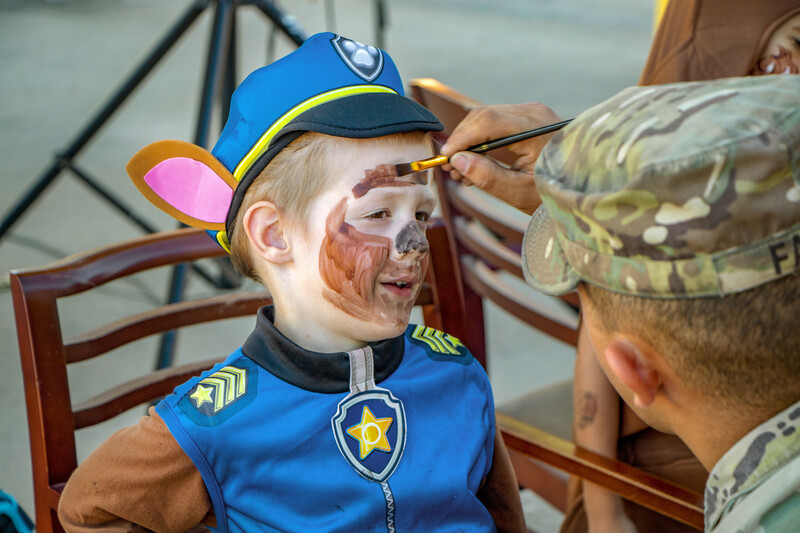 A military child gets his face painted during 2nd Battalion, 69th Armored Regiment’s “Tank or Treat” Halloween event in the battalion motor pool, Oct. 30, at Fort Stewart, Ga. 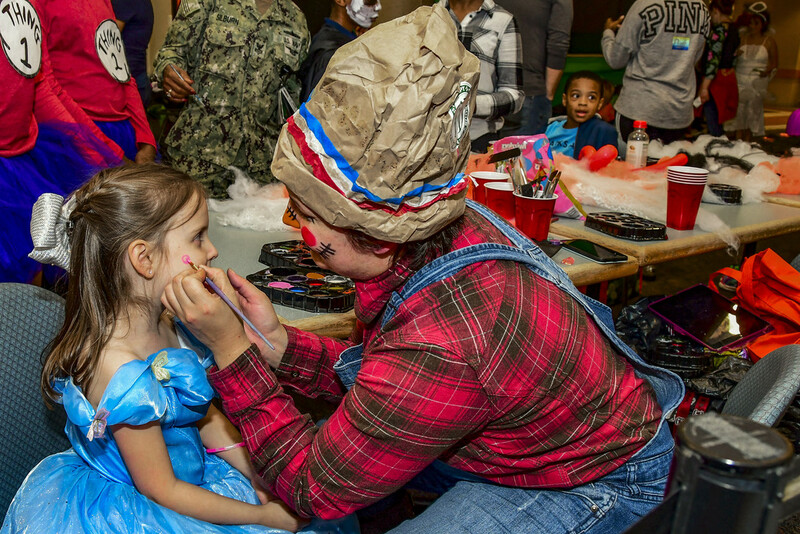 Soldiers brought their families and children to “trick-or-treat” at decorated tanks, ride horses and paint pumpkins. 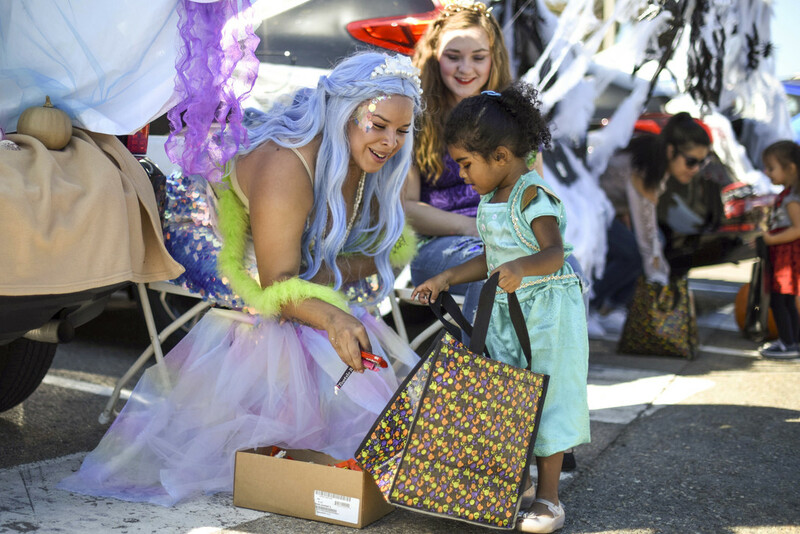 Making happy memories for good kids–nice! 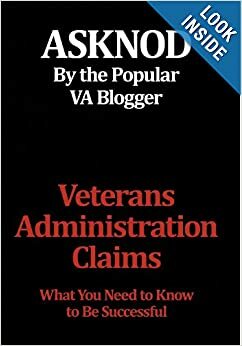 This entry was posted in Food for the soul, Food for thought, Future Veterans, General Messages, Guest authors, Humor, Uncategorized and tagged asknod.org. Bookmark the permalink. Great for the kids and service members. You never forget events like this.